Amazing opportunity in the Atlee School District! This Gem is situated on a true Park-Like Setting. Beautiful flowering trees, shrubs & mature landscaping cover the front & rear yard with a pond right out your back door. Enjoy the beauty of spring on your rear deck overlooking an immaculate yard, lots of wildlife & a gorgeous pond. Roof replaced within last 2 yrs w/25 Yr Warranty! Both Units for Heat/AC replaced 6 yrs. ago & exterior was freshly painted in last 3 years. All trim freshly painted & house just power washed. Spacious side-entry garage. Open Flr Plan w/9′ Ceilings on 1st flr, 2-story foyer, Formal DR & LR w/ Hdwd flrs, Family Rm is open to Kitchen w/Gas Logs, Carpet & tons of light. Kitchen offers spacious Breakfast Nook overlooking rear deck & Pond. Kitchen is complete w/Granite & Granite Back splash, Stainless Appliances and an abundance of beautiful custom cabinets. There are 2 staircases-Front & Rear off of Kitchen. Upstairs is a large Master Suite w/carpet & a walkin closet. Master Bath provides 2 vanities, separate shower & jetted tub. There are 3 additional bdrms; all spacious in size w/carpet & nice size closets. Complete w/Central Vac. Don’t miss this one!!! Please, send me more information on this property: MLS# 1910254 – $350,000 – 8129 Crown Colony Parkway, Mechanicsville, VA 23116. 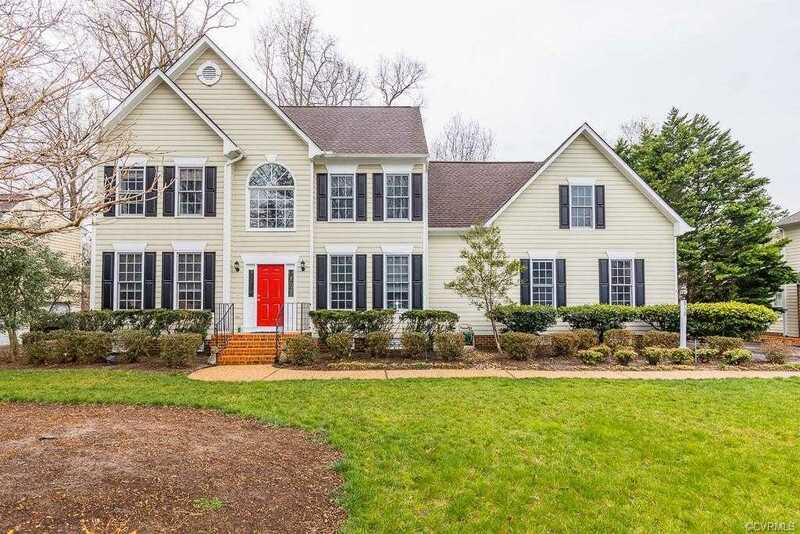 I would like to schedule a showing appointment for this property: MLS# 1910254 – $350,000 – 8129 Crown Colony Parkway, Mechanicsville, VA 23116.